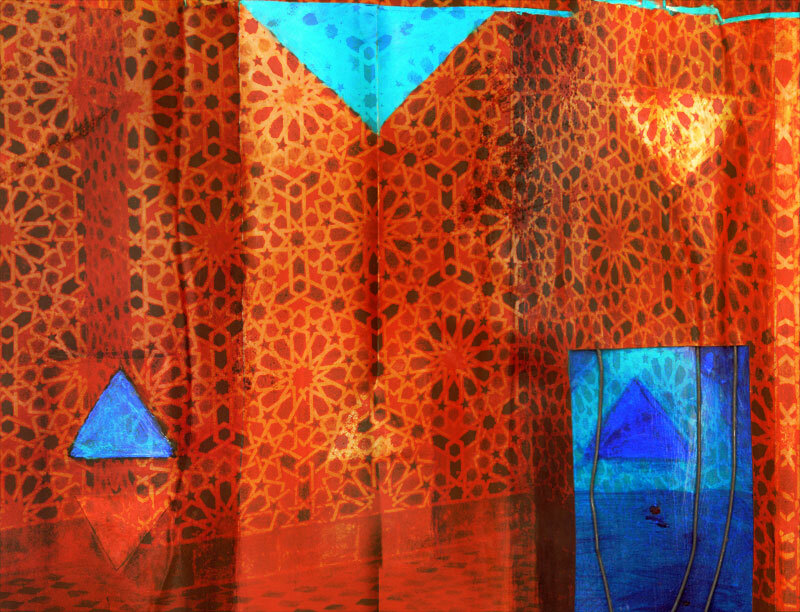 When I came home from Morocco, I put together a bunch of paintings inspired by the warm oranges and blues of the walls. 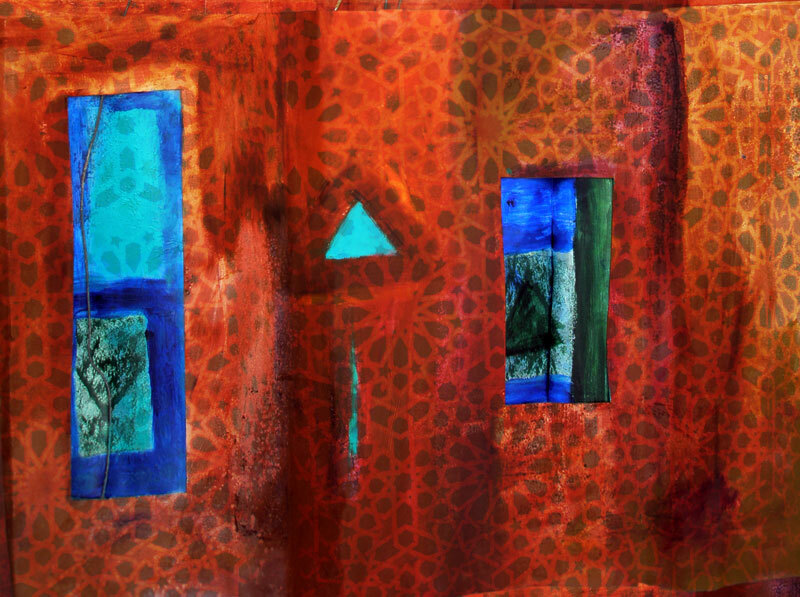 Now I am playing around, trying to mix my paintings with my Moroccan photos. I call these ‘Impressions of Marrakech’. Orange and blue are the best color combination. Love it. blue and orange are such a great combo; they are my favourite complementry colours. fantastic, your painting is terrific!! So you paint, too. 🙂 Lovely.